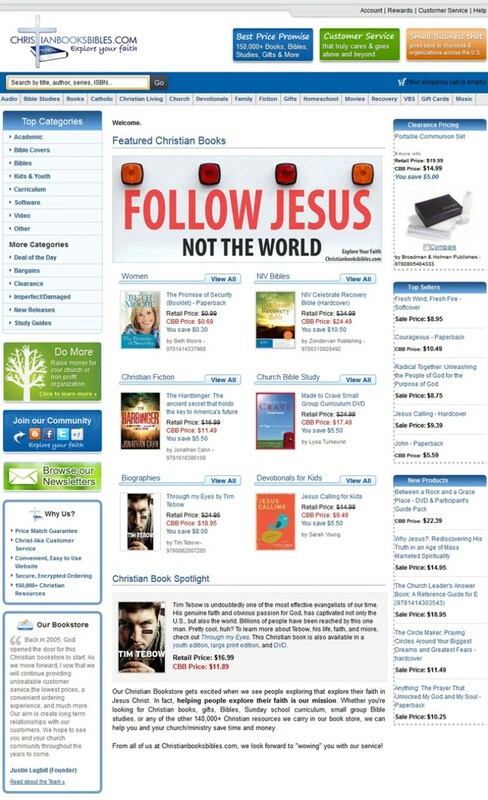 Client Profile: ChristianBooksBibles.com focus to support individuals to explore their trust in Jesus Christ. Challenge: Analyzing overall website and do careful analysis and make it errorless. The client need to check overall website and do careful analysis and make it errorless. ChristianBooksBibles.com focus to support individuals to explore their trust in Jesus Christ. This is an user friendly eCommerce site where you can buy different books on Christianity. The site has been created in Volusion CMS. Volusion CMS incorporate with its own specific admin panel to deal with the products and their categories from the backend. There is also a facility of an API to manage with the custom records. On the basis of the large list of integrated functionalities, the admin panel has ability to manage these functionalities according to the needs.